Birthdays are the best! 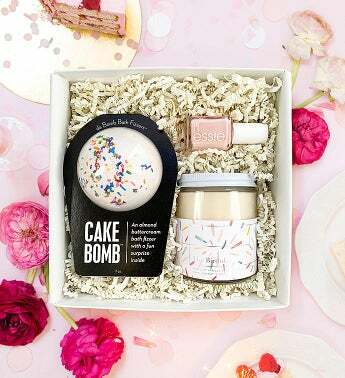 Help your friends and family celebrate with a mini version of our favorite combination of confetti themed spa treats. Perfect for helping anyone feel extra special on their big day! The next best thing to a real cupcake! Help celebrate that special birthday friend with this cute, confetti inspired gift!